OMG!!! The market was laden with numerous options, and I couldn’t tag myself to only one piece, so I ended up buying different pieces, this generally happens to most of us, when we plan to buy one thing but the variety offered as an offspring of competition, always dilute our attention to various verticals, rather than focusing on one simple and plain option. Well to talk about competition further, it would be wrong to say that competition exists only in one particular field, but it has engulfed the every existing business vertical and the services available worldwide to make our life more easier, and one of those verticals is Mobile apps. Yes, mobile apps, the moment you think of an app and plan to download it from its respective app store, unfortunately, your Smartphone does not reflect only the one plain Jane option rather there is a myriad of mobile apps available for your mentioned genre. For a user, whereas this option provides a number of benefits and relief, but for the app developers and the respective businesses this sort of arrangement only soar the temperature little higher, where to sustain in the app store and making it more tumultuous for the business domains to get acknowledged their existence. Mobile apps indeed have become a universally acclaimed platform to get your business go global, and you name it and an app is there scenario has proven 1000% positive. Through mobile apps, businesses receive an innovative and interesting platform to get their brand and services go global and get available to a larger and potential user base. The beautiful aspect adorned by the Android platform is the number of choices available in the Android devices, which comes in all different sizes and shapes. As an Android developer, you don’t need to do it all on the first go, it would be expensive as well as time-consuming too. Here play the analytic strategy and analyze your targeted audience and their preference of Android mobile device, accordingly you built our mobile app. I agree this detail needs time, but time spent here will be given you an edge over your competitors. I generally find it waste of efforts if some app takes more 6 seconds to upload and I uninstall the app immediately while looking for other options available. So as an Android app developer needs to make sure to control the loading time not exceeding more than 6 seconds, usually, 5 seconds is the ideal time. This step will help you to avoid the uninstalls from your user’s end and garner their attention. The best part about Google is that it allows you to promote your app through mobile advertising. With Google’s Admob service, the developer can easily design a mobile ad and start a promotional campaign. 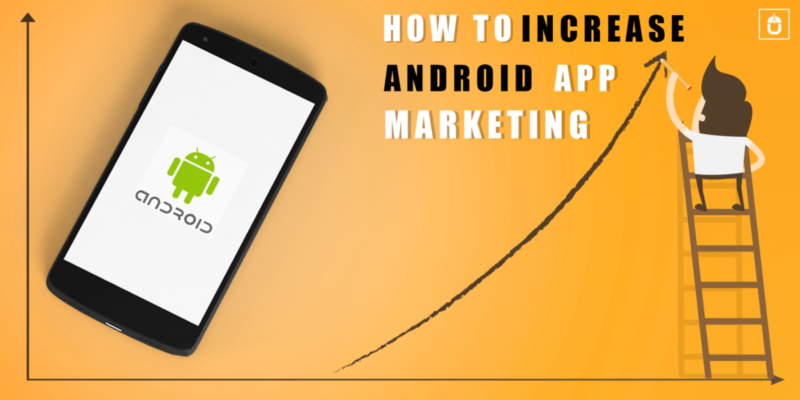 It involves a very easy process, with built-in analytics, offering the number of ad impressions, the number of taps, and the number of people that installed your app as a result of the advert. You need to ensure that your ad is not simple, but has some mesmerizing and eye-catching verbs and phrases like “challenge”, “beat”, “defend” followed by a call to action: “Play for free”, “Download now”, etc. to gain the instant like from the viewer. Through analytic data, keep analyzing if the app is not receiving the satisfactory downloads, then change it instantly to attain better app performance. If your app is not shouted aloud on the relevant social media platforms, then no matter if it has got the best app features, it will never be recognized by your potential users. Every single feature and functionality should be discussed interestingly over the social media to create a stir about your mobile app. The only thing you need to remember, that any bad app cannot be ranked number with the right marketing strategy. You also have to make the mobile app unique and creative, even if your mobile app concept is not new, but play smart and present it in a way that your users would get the best thing in the most interesting way.